Why would I need self storage in Garland, TX? There are a variety of reasons why you might need self-storage in Garland, TX. How much is a storage unit in Garland, TX? The cheapest storage unit in Garland, TX is $24.00 per month. What size storage units do you have available in Garland, TX? In Garland, TX we have sizes that range from 3'x5' to 12'x30' to suit your storage needs. How much is it for a 3'x5' storage unit in Garland, TX? The cheapest 3'x5' storage unit in Garland, TX is $24.00 per month. Garland is part of the Dallas-Fort Worth metroplex, and has a diverse population that places it among the larger cities in Texas. It's been steadily growing in recent decades, with several significant population spikes in the mid-20th century. 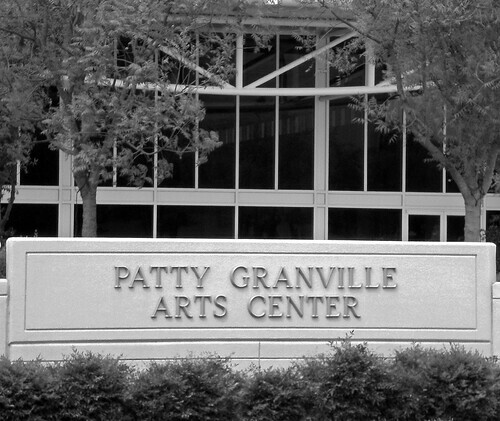 The city has a vibrant arts and culture scene, with local arts attractions ranging from the Patty Granville Arts Center and The Atrium to the Plaza Theater. Because of its proximity to Dallas, Garland has plenty of big-city amenities just a short drive away. It's been named on many "best of" lists, earning recognition as a top city for families, working parents, people looking to save money and first-time home buyers. In addition, it's consistently labeled one of the nation's best cities to live in, with nods to its livability, growing economy and community amenities. Garland is a diverse city with a large percentage of residents born outside the United States, and much of the population is well-educated. The large number of neighborhoods and communities offers a variety of lifestyles, whether you're looking for a quiet family home or a trendy apartment in the center of the action. There are thousands of acres of public parks and several recreation centers in Garland. Many community events are held at local parks, where you can enjoy miles of trails for walking, jogging and biking. The city also offers a variety of shops and restaurants, as well as family-friendly entertainment, including movie theaters, bowling and water parks. The annual Garland Heritage Celebration takes place in downtown Garland and features live music and a walking tour of historic Main Street. Children's activities and educational exhibits are also planned, so you can learn more about Garland's local history. If you're planning to join the local job market, you'll find plenty of opportunities. Garland has a strong manufacturing sector and is home to large establishments including the Kraft Foods plant and the Resistol Hats factory. Other large sectors with a variety of jobs include electronics, dairy, steel fabrication and aluminum die casting. Downtown Garland is home to many of the city's historic buildings, which now house a variety of locally-owned restaurants and shops. It's also home to the Granville Arts Center and Plaza Theatre, where you can attend community theater performances and local concerts. Duck Creek started out as a small, unincorporated area with log cabin schoolhouses. Today, it's a quiet neighborhood with plenty of natural scenery. Inthe Duck Creek Greenbelt, you can enjoy picnic spaces, a five-mile trail and fishing ponds. Firewheel is one of Garland's upscale communities, and it's growing quickly thanks to its location near the President George Bush Turnpike. The Firewheel Golf Park hosts the North Texas PGA Junior Championships, and many of the community's homes border the green. Local legend says that Rose Hill was named either for the abundance of roses in its local churchyard, or after P.W. Rose, one of its earliest settlers. It was first established in the mid-1800s, but its population didn't total even 200 until after it was annexed by Garland. The Garland Independent School District (GISD) serves the majority of public schools in the area. The GISD is one of a handful of Texas districts that offers the Choice of School program. This means that you can enroll your child in any district school that has available space, rather than being assigned to your neighborhood campus. Garland is also home to a handful of private schools, most of them faith-based. If you're planning on pursuing a college degree in Garland, there are two post-secondary schools in the city. Richland College provides a variety of degrees and certificate programs, while Amberton University offers both undergraduate and graduate degrees. Utilities: The city's central power provider is Garland Power & Light, though according to Texas law, you have the freedom to choose another company if you prefer. The city operates water and sewer services. Garbage and Recycling: Trash and recyclables are collected curbside throughout the city. Transportation: The DART line provides public transportation in Garland, with a station located downtown for easy city access. Health Care: The city offers a public health clinic, providing low-cost immunizations, health education and basic health services. The median home and rent prices in Garland are lower than the national averages, making it a relatively affordable place to live. Additionally, Garland offers many different types and styles of neighborhoods. If you prefer an urban lifestyle, look for homes downtown, or you can venture into the suburbs to find quieter neighborhoods. Our lowest priced units in Garland, TX average $35.22 per month. 333 people have reserved units in Garland, TX in the past 30 days. There are 9 locations within Garland, TX's city limits. There are 5 locations in Garland, TX that offer AC and Heating features.